Aww me too!! Barely seeing my bf at the mo because of uni! I'd love to be doing that with my hubby too! Awhk me too, if only my boyfreind was around! Is that a robe he has on? Please tell me it is red or burgundy. My Michael does a lot of things I like to call his, 'old man ways.' And IF that robe is red or burgundy, maybe even hunter green it would fit the bill. :) Haha, I hope you take that as a compliment, cause it is one. i could go for that... but even moreso i could really go for a large original pinkberry with raspberries and fruity pebbles. Aww sweet! My boyfriend and I are in the works of planning a "hookie day" and skipping out on work so we can do precisely this! You and I both! Hoping you get some of that soon! I just ate a bowl of popcorn... but did it with my dog instead of the hubs. Yes, and yes! I would love some of that right now (my hubs) has been working a lot lately. Hopefully popcorn and a movie will be in the cards for us soon. Beautiful picture of the two of you. Love it! Such a cute picture of you two. I love B&W photos. I can use some of this right now, too. Lovely photo, so natural looking. ah, i want cuddles too! too bad the bf is gone all week every week for school. boo to higher education for stealing my man. oh, for sure. i had some of that last night. anyway, sweet and soft post! I need a boyfriend, maybe! You two are very cute together!!! and there really is nothing better than a bowl of popcorn and snuggling on the couch. Love your blog, and enjoy reading it everyday!! Cute. I love watching a movie with my hunny, and eating popcorn until our stomachs explode. Adorable picture. You and the hubby always look so cute! I never fail to smile because of your posts. Agree 100%!! Yall are so cute together! So cute! Your pictures are always amazing! Wow, your husband looks just like Ben Affleck! This reminds me when my hubby bought a new flat screen tv recently and he popped in a dvd and made our living room a theater. So my sister told me about this one girl from rexburg that I need to check out her blog (I went to byui too!) I finally did, you rock! 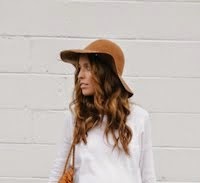 love the blog, and your style, all awesome. I'm so impressed by how you update and manage your blog. What an inspiration! Yes! There something so great in doing a whole lot of nothing.. Plus popcorn :0)..plus hubby! i was in that mood too, but my Boyfriend was too busy for me...anyways im always happy for u 2. Hiiii,i found your blog out sooo new.i like you and your husband energy together. hope you will be soooo happy in future also. i like your outfits also,maybe you want to see me and my blog,hope you will like. SO adorable. who doesn't love snuggles? this picture is way too adorable. you guys are one of the most attractive couples ive seen! and adorable too! This is truly the perfect shot Syd. In my youth I aspire to be able to re-create this someday. The best to both of you. Your hubby kind of looks like Ben Affleck in this pic! Had to do a double take!